For women who are watching their weight, there are always numbers or goals that have to be achieved. 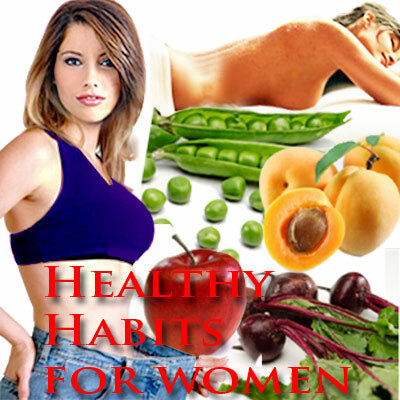 Be it optimum body weight, ideal BMI, calorie intake or steps taken in a day. 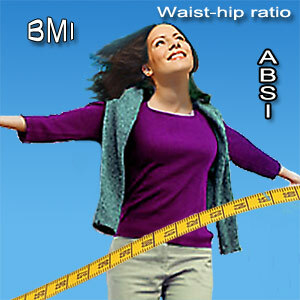 In addition to BMI, waist-height ratio and waist-hip ratio are other commonly used parameters to check for obesity. To add to this already bewildering list of health indices comes another one – A Body Shape Index. To Dr Nir Krakauer of The City College of New York, we owe this new health index - ABSI. He and his co-author Jesse Kakauer worked on the BMI to come up with a health index that factors the body shape and provides a mortality risk factor. ABSI takes into account the body shape, as your waist size is considered an important factor in estimating overall fitness. Though the BMI – Body Mass Index has been an index of determining obesity, it takes only the body weight and height into consideration, ignoring body shape. The difference between fat and muscle is also not factored. BMI is clueless about your fitness levels or body composition. For muscular persons or those who are frail and convalescing, the BMI does not reveal their fitness status. Some persons are of 'normal' BMI but are not active or fit. There are some who are 'overweight' but largely healthy. The BMI places such persons in a high-risk category. Increasingly people are getting more obese. Little wonder that obesity-led conditions are the most treated. Besides, obesity raises your risk of dying early. The ABSI indicates a death risk percentage comparing your score with data that has been collected from the National Health and Nutrition Examination Survey. Your score is then compared with others based on age and gender average and standard deviation. Your mortality risk increases by 1.13 for each variation from the average in the ABSI. Those on a high-risk score can work at reducing weight and waist circumference to reduce mortality risk. This score cannot be used by pregnant women. We provide below the ABSI Calculator so that you don't have to whip out your calculator to do the calculation the hard way. Fill in the details in the form below and click on calculate button to see your health index. It will show you the computed BMI and the status in addition to the ABSI values. There is more to this - you can change the weight in the form and derive some satisfaction in seeing your BMI value and the status change directly before your eyes. At the least you know how many pounds you need to lose to reach the target. 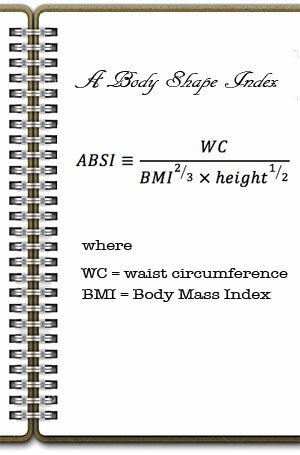 Body Mass Index (BMI) status in the above calculation is based on the following table. Your ABSI measurement predicts your relative mortality risk. This score is complementary to BMI and other risk factors. A higher ABSI score indicates a higher mortality risk. A score of 1 denotes an average risk of mortality when compared to others. When you arrive at a score less than 1, it indicates a lesser than average mortality risk. For e.g. : A score of 0.7 means a 30% lower of dying than the average. On the other hand, a score of 1.3 indicates a 30% greater than average risk. This Calculator is based on the script originally developed by Mr.Jason Buberel and it is reproduced here in TargetWoman with his kind permission.